Nordic Naturals Children's DHA is a pleasant tasting natural strawberry flavoured omega 3 liquid suitable from ages 12 months and upward. DHA supports learning and brain development. 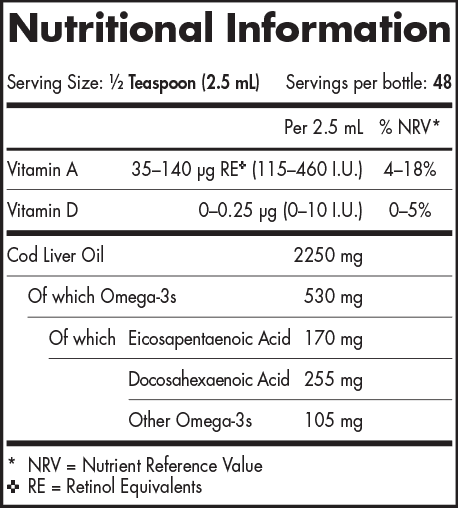 Also contains natural forms of Vitamin D and A for immune health. Lab tested for purity and freshness. Triglyceride form for optimum absorption. purified arctic cod liver oil (fish), natural strawberry flavouring, antioxidant: vitamin E (as d-alpha tocopherol), antioxidant: extracts of rosemary. 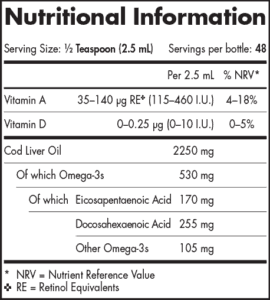 One-half teaspoon (2.5 mL) daily, with food, or as directed by your health care professional or pharmacist.